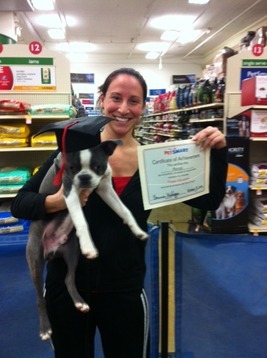 Congratulations to Lisa Valenzano's puppy Rocco, who was awarded his Certificate of Accomplishment! My Bert went to the rainbow bridge. Despite all his health issues he brought so much happiness to me and my family. We in turn loved him with everything we had. He will always be in our hearts and minds. I will miss you my handsome boy! These sweet furkids have no idea how much of an impact they have on our lives. I only had Bert for three months and he was supposed to be adopted out but began getting sicker and sicker. We were destined to come together and I am proud that I got to spend time loving him. We all at NEBTR offer Linda and her family our sincerest sympathy. They lovingly cared for this boy, through all of his health problems, and gave him a family of his own for the last months of his life. There is no greater love than the one they shared with Bert. Today my partner and I picked up Popeye from Watertown, NY (way, way upstate). He came to us via transport from Rochester, NY. Thanks a TON to Christine and Kerry!! Popeye is Extremely skinny- only about 15 lbs. He is mostly skin and bones...but no worries...we'll fatten him up soon. He was covered in fleas very itchy and had diarrhea. He is the sweetest little boy. Loved everyone we met at Petco. He was great for the hour car ride home, he slept wrapped in a blanket on my lap the whole time. He was even good on the leash. He's still on guard, sleeping standing up or sleeping while sitting. Soon, he'll be more relaxed and we'll be able to tell more about the little guy. So glad this guy came into rescue... and it almost didn't happen. But through a lot of patience on Jerrilyn's and Sheryl's part we finally got him today! As ever, Jerrilyn was tireless in her efforts to bring him into to us. 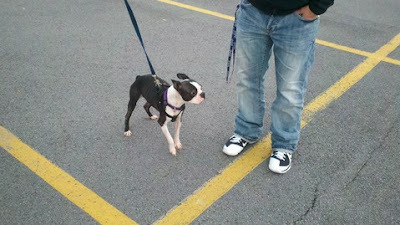 Exciting news...Brinkley was placed with his new family this morning! 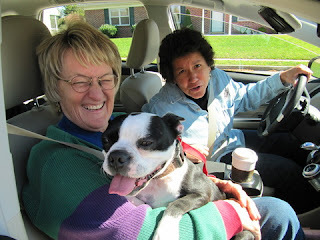 I have attached a couple of photos of Brinkley with his new family. Rebecca and Gia fell in love with Brinkley right away and decided to take him home with them. I am happy for all of them and think it is a wonderful fit. Will keep everyone posted on how they make out as he transitions into his new home. Hurray for Brinkley!! 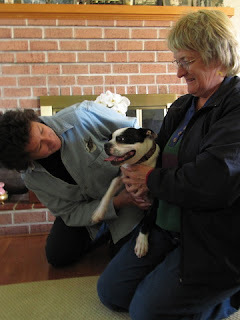 And a special thank you to Jane Orlando for doing such a wonderful job as his foster mom!! You did a fine job in preparing him for his new life and we all say "Cheers" and a huge thank you for your first and very successful fostering with NEBTR. We hope you enjoyed it too. Thank you so much Narelle for saving this beautiful little girl! Please meet new foster Bosley. 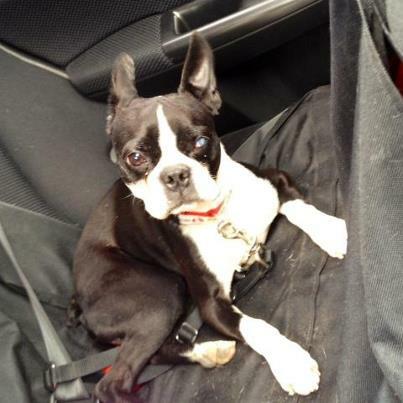 He was left in Allentown on a vet office doorstep overnight on a cold night. They discovered he had a urinary issue and have been taking care of him ever since. He is now ready to leave the vet and is coming to NEBTR. THANKS SO MUCH to the Animal Clinic in Allentown, PA and to foster parents Janice and Ray Boyer! 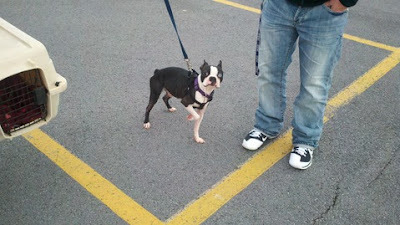 We picked Bosley up at the Animal Clinic in Allentown, PA late this afternoon. 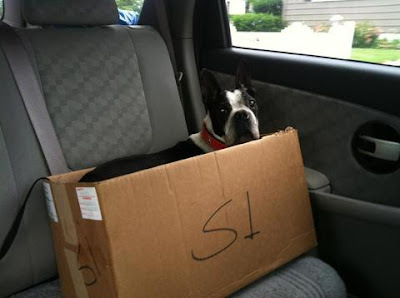 Bosley had been abandoned, left in a crate in their parking lot. The staff noticed that he was dribbling urine and did an extensive exam which resulted in surgery. They also neutered him and did everything he needs to be up to date medically. 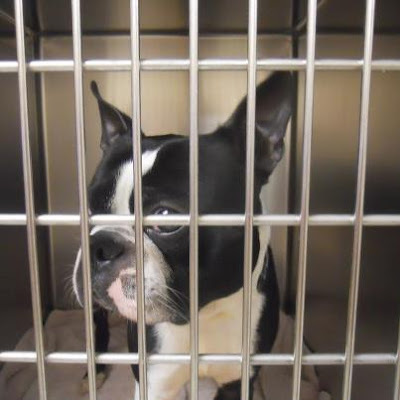 They named him Bosley the Boston Terrier. 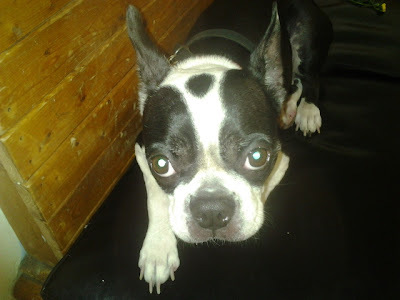 He is between one and two years old, about 20 pounds, very sweet and curious about everything. Full of energy. 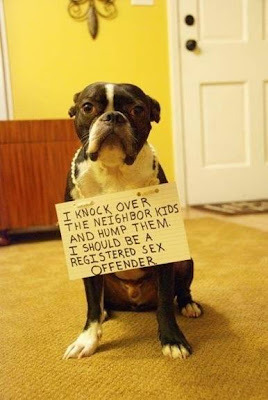 He doesn't seem to have been house trained so that will be the first order of business. 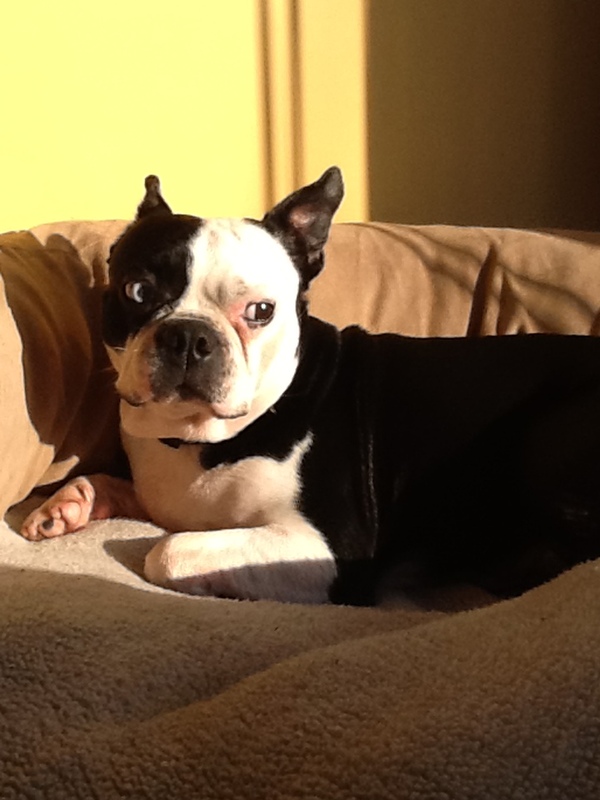 Another Boston Terrier who has had a rough start in life and reacts with nothing but love. The Allentown Animal Clinic was amazing - they covered the cost of his surgery and all of his care and then handed him off to NEBTR because they want to be sure he finds a great home and that the rescue benefits from his adoption donation. Here are two photos of this beautiful boy with the Boyers. You can tell what good care they are giving, and how happy he is! Please meet new foster Clark. He came from a shelter in Rochester. Clark is around five years old, housebroken, and very sweet. Keep an eye out for Clark, he won't last long! "I've had Clark for almost a week and wanted to send a quick update on this guy. He's made a lot of progress in a very short time. Thank you Rhea for getting Clark out of the shelter and the great care you provided him before he came to stay with me. The info you provided me with, as well as your care package was a big help! Clark has adjusted well since bringing him home last Saturday. He's been playing nice with my 3-year old, Caoimhe and enjoying our long daily walks/hikes. I'm still keeping the dogs separate during the day while I'm at work. I'll continue to watch them both as we all settle into new surroundings, routines, etc. Clark has a few medical issues, and I've taken him to my vet for a better evaluation. His left eye is cloudy and it's yet to be determined what the cause is. I was given some eyedrops that I've had him on since Monday and it looks like it might be clearing up a bit. Clark can definitely see out of this eye. I'll be taking him back on Monday for a follow-up. Clark also had some serious sneezing and snot flinging going on when I first brought him home. I continue giving him Benadryl that Rhea started last week and also have some pills my vet had given us. This issue is clearing up quickly . Clark could stand to gain some weight as he's very skinny. I'm guessing five+ pounds will thicken him up a bit (he's currently 17 pounds). The vet suggested keeping him on 3/4 cup food twice a day. My Caoimhe is also 17 pounds and eats 1/2 cup twice daily, so I'm thinking he'll start putting on some pounds within the next few weeks. He's very good on the leash and he comes when he's called. Clark loves when we all sit on the couch after dinner. I wrap both dogs in their fleece blankets and the snoring starts. 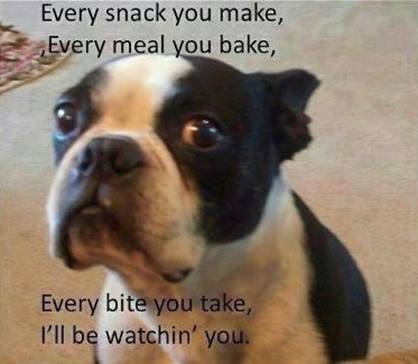 This is a well-behaved, socialized, happy dog. I'm sure that this guy will be ready to adopt soon. " We are so excited to have our first foster, Otto!! He is such a good boy and very handsome! He is coming out of his shell a little more each day. I think he is happy in his new surroundings. So far he loves his new beds and enjoys laying around in the sun & snoring. (Typical BT!!). He came to us in pretty good condition. He is well fed and was just a little bit stinky. He is very flinchy and skittish when approached or if you move too quickly. He also panics when you go to pick him up. But these are becoming less as well. He is going to get some much needed medical attention, tons of love and learn lots of new things, like his name for starters!! Thanks Deb for your vote of confidence! Erica, please tell your daughter he's doing great. Here is a picture of him fresh from a bath, new collar on & basking in the sunshine. Will keep you updated on his progress!! Today Otto and Lola went to the Groomer. Otto got a full body massage and coat conditioning. He also got his nails cut so he no longer resembles Edward Scissorhands!! He did great and all the ladies fell in love with him. 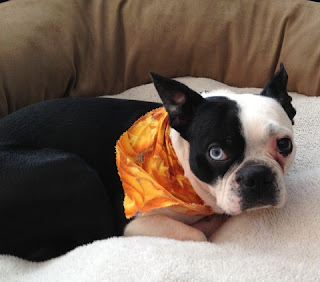 He got tons of kisses, some pizza crust and a snazzy Autumn bandana!! I'm such a proud Foster Mama!! Now him & Lola are sleeping because its really hard work getting pampered.